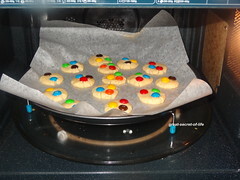 My kids were asking for M&M cookies for very long time. I seldom buy M&M due to colors. 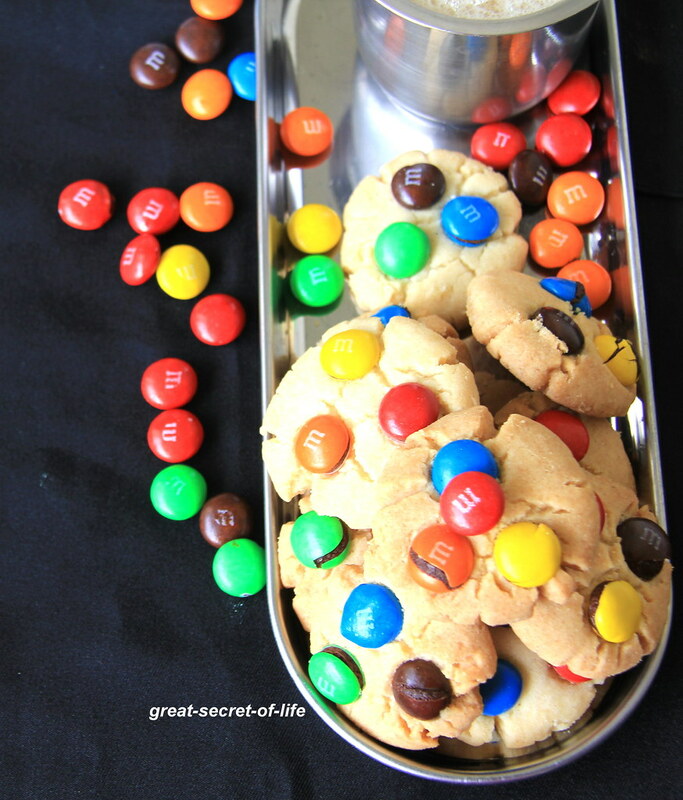 I brought M&M just for making cookies but when I was about to do it it disappeared .. 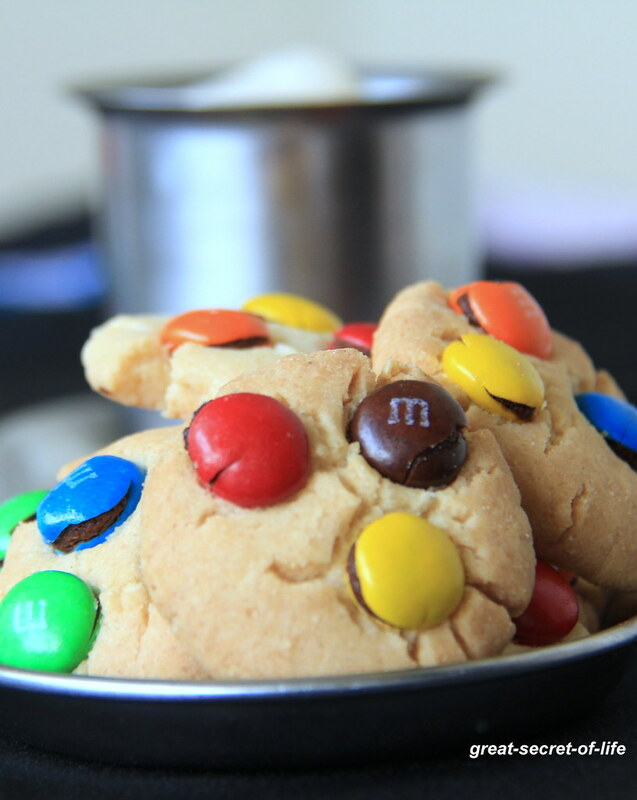 This time when I brought the M&M I made this cookies immediately. Kids enjoyed every bit of it. It is perfect snack for the kids. No complaints from kids! 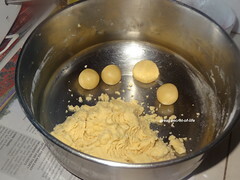 Sift All purpose flour, corn flour, baking powder couple of times and keep it aside. 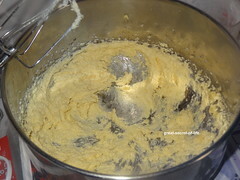 Beat butter, Vanilla Essence and sugar till sugar melts. 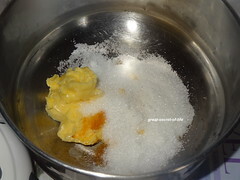 Now add dry ingredients and mix well. 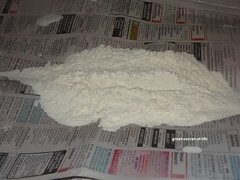 Wrap the dough and keep it in fridge for an hour. 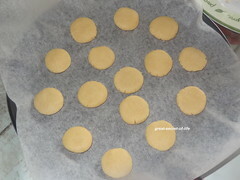 Take out and shape the cookies in desired shape. Place M&M. Arrange it it in baking tray. Can I replace brown sugar with white sugar? Thanks a lot! Will try the recipe. 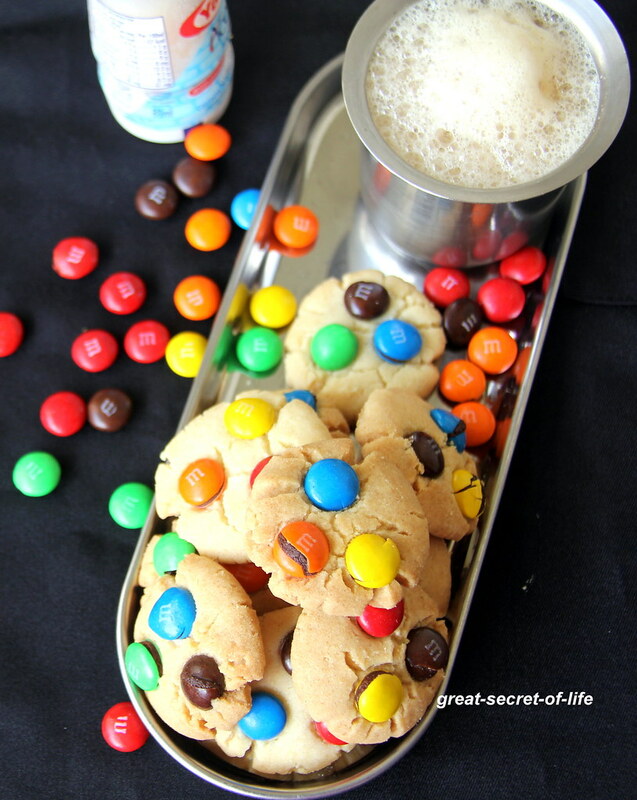 Lovely cookies Veena..I'm sure kids will.love it! 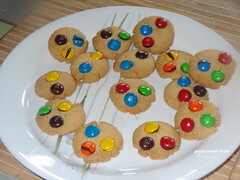 Yummy and crunchy cookies!! Very colorful!! Tried it.tastes superb. Thanks a lot for sharing the recipe. 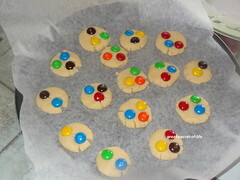 Yummy m&m cookies.. love these cookies..